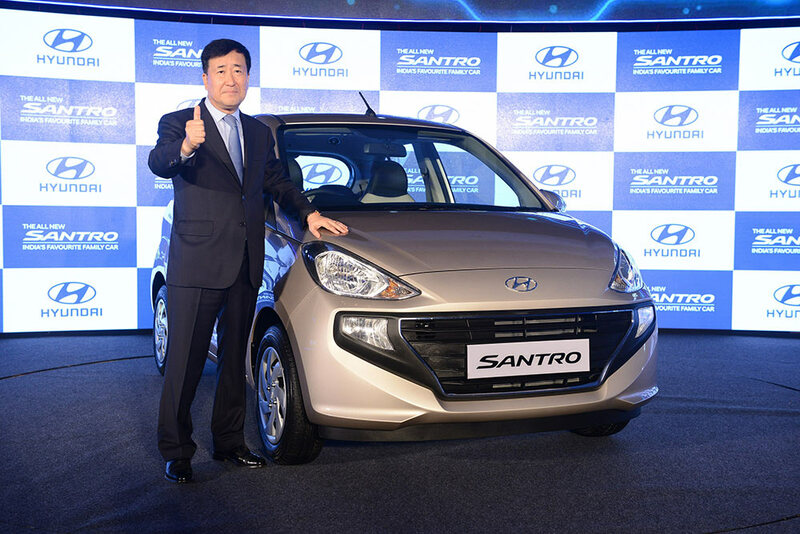 The 2nd generation Hyundai Santro has been launched in India Today(23 October 2018). The all New Santro is available in 3 engine variants —manual, automatic and CNG. Priced at Rs 3.89 Lakhs and Rs 5.64 Lakhs Pan India. 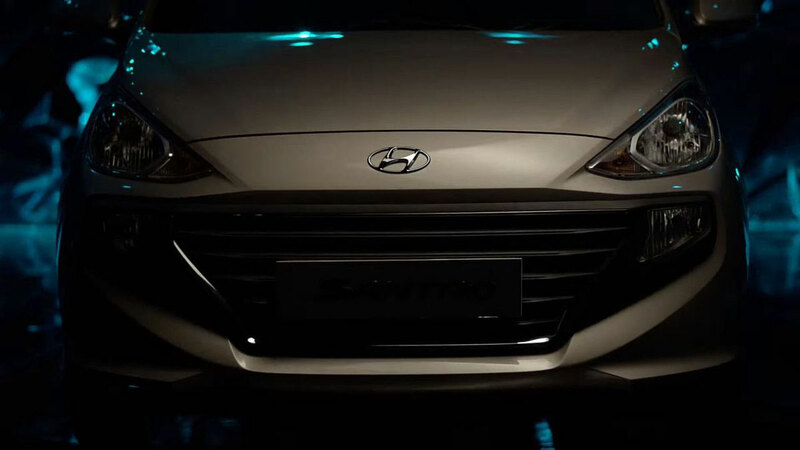 Even after 20 long years, Hyundai India continues to associate with the Popular Bollywood Actor Shah Rukh Khan. Today on 23rd October 2018, Hyundai India opens up a new chapter by bringing back its popular Santro hatchback to India. The all New Hyundai Santro gets more appealing modern design, features (like Touchscreen, Android Auto, Apple Carplay ) and is more wider, taller and spacious. 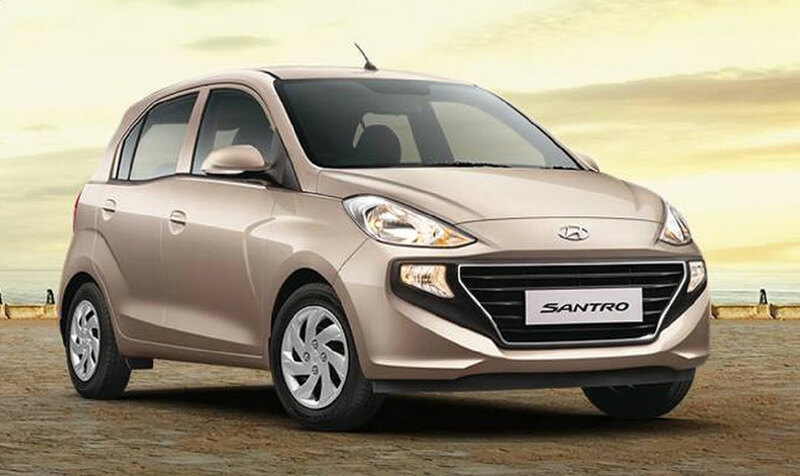 Hyundai India is offering an introductory price of Rs 3.89 Lakhs for the Dlite variant of new Santro. 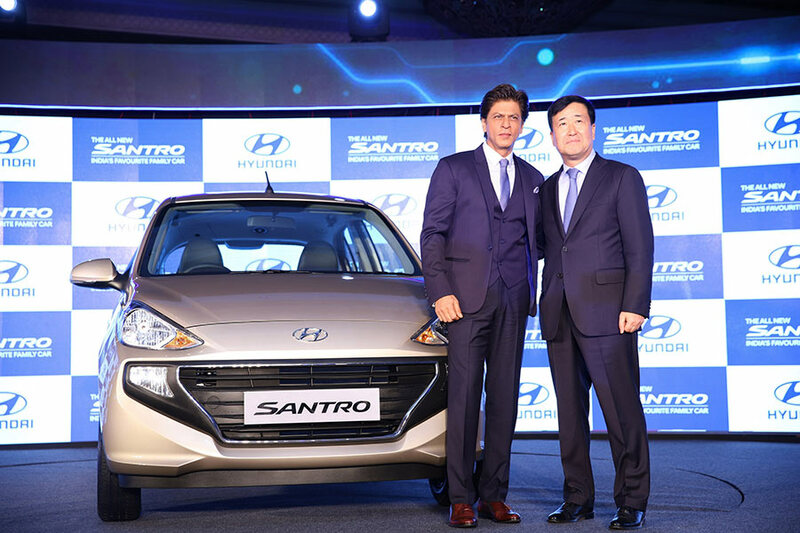 The launch which happened in New Delhi attracted lot of crowd who were eager to see the much awaited hatchback of the year and the popular bollywood actor Mr Shah Rukh Khan. The all New Hyundai Santro is available in three engine variants —manual, automatic and CNG. The new Santro gets a 1.1 litre, 4 cylinder petrol motor which can churn out a maximum power of 68bhp and 99Nm of peak torque. The CNG variant in Santro can generate 59bhp of power with a mileage of 20.3 kmpl. 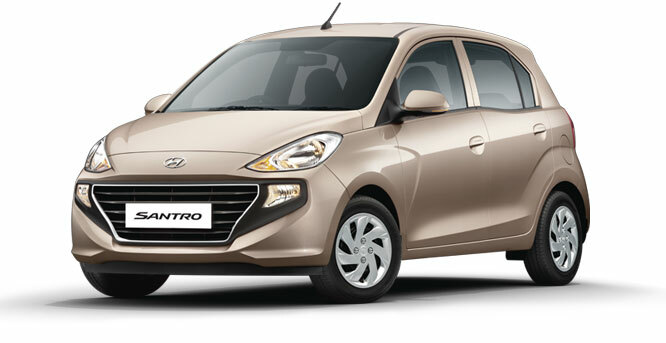 The new Hyundai Santro borrows the same tall-boy stance as seen in the old model, however the dimensions, style, looks and features offered are changed. 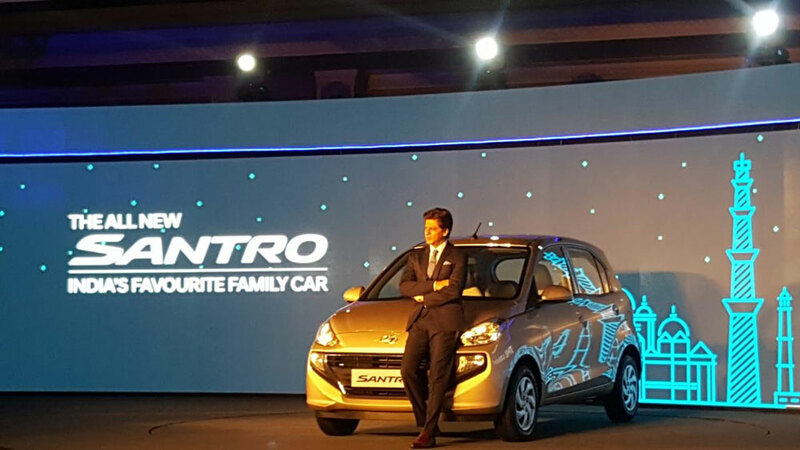 The all new Santro now gets 14 inch steel wheels and is 45mm longer than old Santro. The wheelbase of new Santro measures 3610mm. The all new Santro now gets extra bit of design lines on it. Even the base variant, Hyundai Santro Dlite offers driver side safety airbags and ABS with electronic brake distribution. The above trim New Santro Era variant gets power steering and AC with heater options. Both Dlite and Era variants of Hyundai Santro is offered in manual transmissions only. The all new Hyundai Santro Magna gets rear AC vents, power windows and 2DIN stereo with AUX, USB and Bluetooth and the Sportz variant gets steering mounted controls, reverse parking sensors, rear defogger and a touchscreen infotainment paired with Apple CarPlay, Android Auto and mirror link. The Magna and Sportz variants of all new Hyundai Santro is offered in manual, automatic and gets the CNG option too. 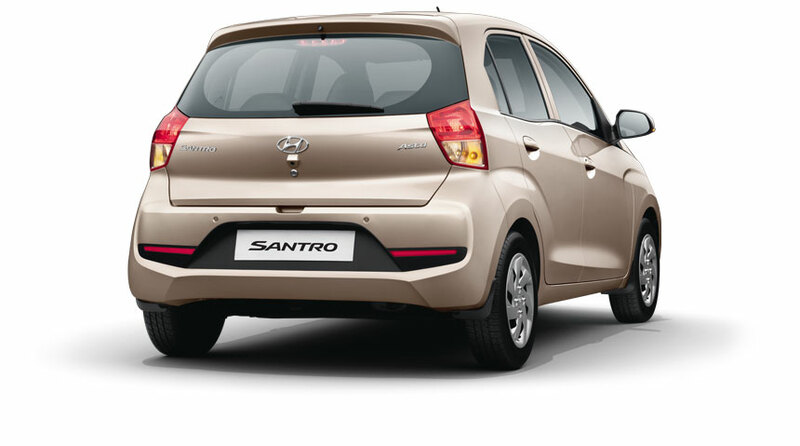 The top trim variant Hyundai Santro Asta gets top-of-the-line features like reverse camera, rear washer and wiper. Hyundai is offering the introductory price for its first 50,000 customers. There are already 23,500 bookings which has happened even before the official launch. 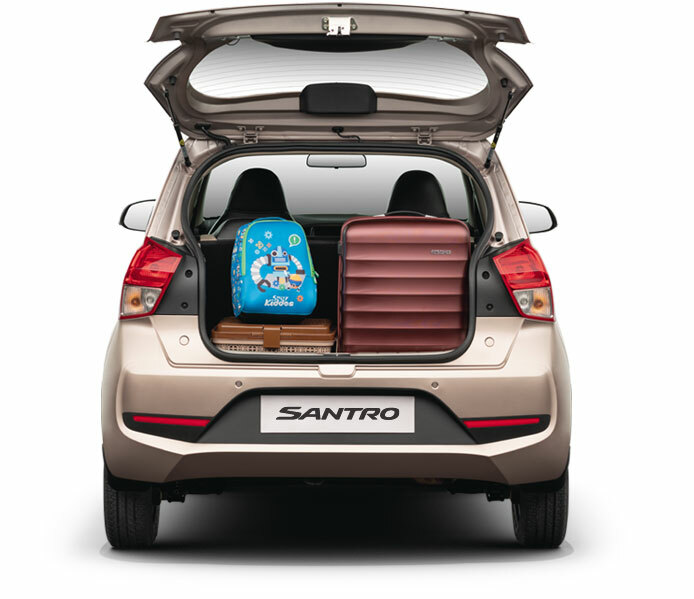 One can book the Hyundai Santro online or by walking into the nearest Hyundai dealership.